Whether planning to celebrate a special occasion or just a quiet romantic evening, Mahmaan offers beautiful decor, friendly staff and the finest cuisine to guarantee an evening to remember. We have chosen our varietal selection extremely carefully and have decided upon the ‘Pure’ range as they truly represent the very best in the Mediterranean style. Overt, up front bouquet of grapefruit & citrus zest, quenching and long on the finish. Pure, Girelli (Italy) high altitude from the foothills of the Dolomites, light clean fruits with a touch of almonds. Sandford Estate (Australia). A wonderful open expression of aromatic bouquet & rich fruity palate in a lemon zest. Drakensberg (South Africa) From Paarl, crisp qenching wine with a long steely finish. Finca El Picador (Chile). Grassy & quenching with a firm aroma of gooseberry and tropical green fruits. Not an ordinary Rose! 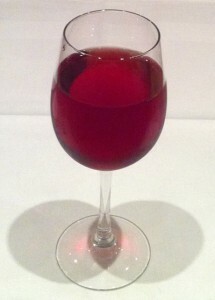 The wine is made by carefully ‘bleeding’ the grape allowing full integration of colour & fruit. Rich, soft jamy fruit tones with a long satisfying finish. Huge brooding bouquet with typical dried fruit, cherry and spice on the palate. Drakensberg (South Africa). Big rustic wine softened by 20% ageing in American oak barrels – stunning! Bodega Muerza (Spain). A silky fruity wine with a little spice. Las Manitos Mendoza – Soft simple wine with attractive & very ripe fruit on the palette. Castell d’Olerdola Brut Reserve. Actually a favourite of King Juan Carlos. A champagne that needs no introduction. This premier Cuvee has a dry, dstinctive appeal. It is fine and elegant. Bolly enjoys a fine place amongst all the great Champagnes, lemon bouquet, elegant long fish. Elegant in style with undertones of almond on the palate with a gloriously long finish. This wine is a testament to Moet’s supreme skill in selection and blendng of some of the finest cuvees, all from the Premier Cru 100% vineyards. The epitome of the finest, elegant, amazingly long Champagne from the best Premier Cru vineyards.